New York Gov. Andrew Cuomo signed legislation allowing medical marijuana to be used as an alternative to opioids, codifying a development that already has led to expansion of the state’s MMJ market. The legislation formalizes into law emergency regulations implemented in July by the state’s health department. In the ensuing two months alone, the number of certified patients in the state’s MMJ program has surged 18%, from 62,256 on July 10 to 73,417 as of Sept. 25. Under the legislation, medical marijuana can be used as an alternative to opioids to manage acute pain as well as to treat opioid abuse. 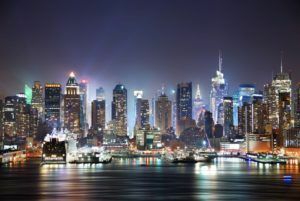 New York has gradually expanded its MMJ program over the past two years, with the addition of chronic pain as a qualifying condition in November 2016 and post-traumatic stress disorder in November 2017. Stronger growth of New York’s MMJ program has been hampered by a ban on sales of smokable marijuana and most forms of edibles. But bigger changes could be coming: The state has started public meetings on the topic of legalizing adult-use marijuana, an issue the Democratic governor has warmed to after being a staunch opponent. “Stronger growth of New York’s MMJ program has been hampered by a ban on sales of smokable marijuana and most forms of edibles.” —-> biggest problem we have right now along with limited competition. How will this play out if and when recreational comes to town? Sounds like NYS might benefit from asking other states with more robust MMJ programs that have switched over to rec how they did it, what needs to be done, and a path moving forward. It’s sad that medical marijuana in NY is not only inaccessible but overpriced. To alleviate that burden, hopefully someone will speak out against NY’s uncompassionate program. But as usually, nothing will happen for a long time; and by then it will be too late. Howard Zucker is the one to blame for this problem, not Cuomo. NYS is so far behind its neighbors in its medical cannabis program it’s laughable. In WNY there are two dispensaries that offer one type of tincture. In roughly 20 days our more enlightened neighbor to the North, Canada, will demonstrate how public and private companies can work well for delivering clinically relevant products to those who suffer. I took this a step further and contacted Dr. Zucker to voice my concerns, and the concerns of many others I have spoken with. If you feel strongly about this you should contact him as well. The program needs to be more compassionate. That means allowing patients more control in the program. Dispensaries are too pricey and the people are snobby. Period. It really unfortunate that people like myself cannot even enter an mmj dispensary due to the high cost of the products.nys mmj program is notonly un afford able to those not on benefits very very unfair program.